The village of Icacos is situated at the south westernmost point in Trinidad and Tobago – at the tip of the Cedros peninsula. Icacos is just 7 miles away from neighbouring Venezuela and on a clear day one can see the Venezuelan coast. One of the main sources of employment is fishing. 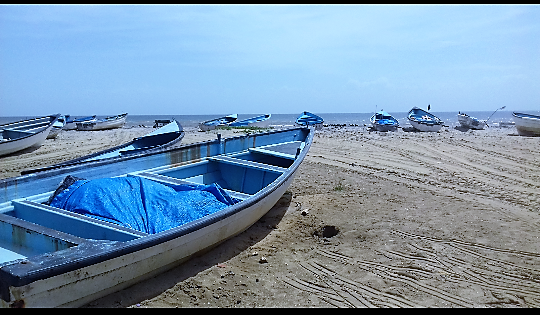 Fish can be bought straight off the boats that come ashore and fishermen often have stories to tell of their visits to the nearby Venezuelan islands. The first primary school in the area was built in 1877 and in 2008; a new primary school was opened to replace the old wooden structure. This school was one of the model schools to be built in the country. It is outfitted with modern amenities. The school provides a well balanced curriculum where academics, sports and other co-curricula activities are pursued with varying measures of success. In October 2017, two teachers of the Icacos Government Primary School were given the opportunity to attend a Sandwatch training programme sponsored by UNESCO. They were housed along with persons from various countries as well as within Trinidad and Tobago. There they learnt the purpose of “Sandwatch” in adapting to climate change and educating for sustainable development. The week long training entailed theory as well as practical work. Sandwatch is based on the MAST approach so participants learnt about Monitoring the beach, Analysing the results, Sharing the results and Taking action. 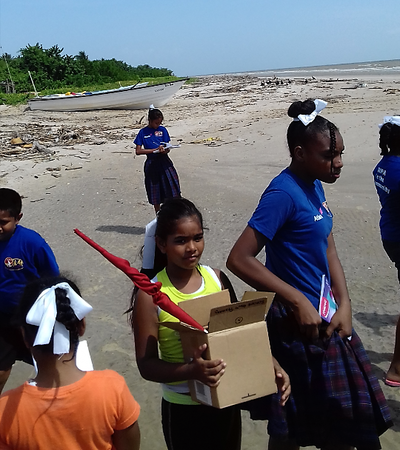 At the school, the idea of having our own Sandwatch programme was well received due to the fact that erosion was evident in Icacos. The Principal Ms Gail Alexander-Walters made the necessary arrangements for the programme to be undertaken. 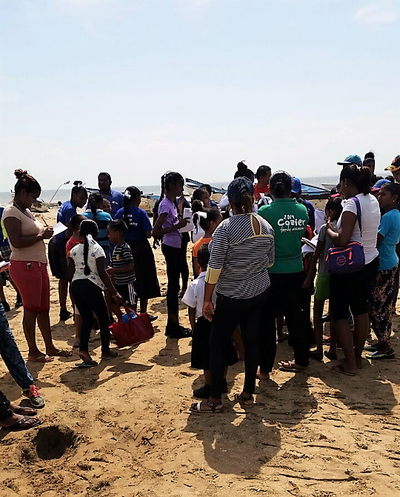 Members of the P.T.A, students, teachers and other interested persons showed their support by being part of the Sandwatch programme. The first Sandwatch exercise was done on the 9th November 2017, with 15 parents, 35 students and 3 members of staff. The students especially, were much thrilled to conduct the activities at the beach. The first trip to the beach entailed selecting the three reference points, measuring the width of the beach, checking wind direction and a few others. We here at Icacos Government Primary School will continue with the Sandwatch programme and make it part of our culture at Icacos. We see Sandwatch as something beneficial to our coastal environment. 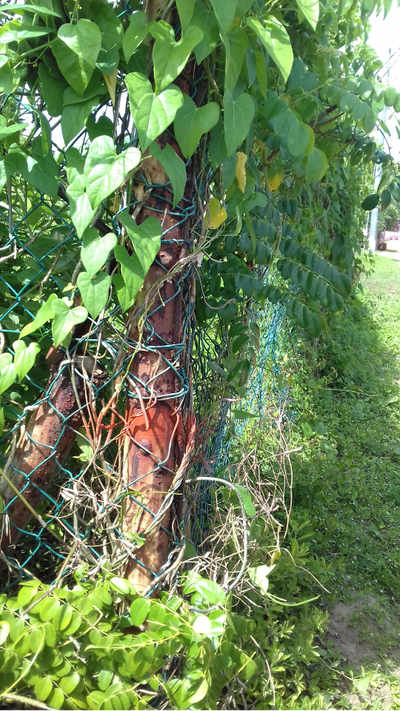 It will also teach our students, residents and stakeholders to take care and practice sustainability. ​Participants from countries in the Caribbean archipelago and South America met for a week’s workshop from October 2nd to 5th 2017, at the Radisson Hotel in Trinidad. This workshop, titled ‘Sandwatch: A Combined Citizen Science Approach to Climate Change Adaptation and Education for Sustainable Development’, was organised by UNESCO Headquarters, the UNESCO Kingston Office and the UNESCO National Commission for Trinidad and Tobago. Participants were educational and curricula professionals and some teachers. On day one Ms. Sandra de Vries of the Netherlands and Ms. Debra Mc Fee of the Gender Issues Department of the University of the West Indies St. Augustine Campus, relayed experiences they encountered while trying to recruit members of different communities to become citizen scientists. The floor was then opened for questions and discussion. The rest of the day’s proceedings revolved around moderated group discussions on opportunities for the expansion of citizen science programmes within the Caribbean, with a focus on specific sustainable development goals. Day one concluded with an in-depth introduction to Sandwatch. Days 2 and 3 of the workshop foccused on Sandwatch activities at Las Cuevas Beach. 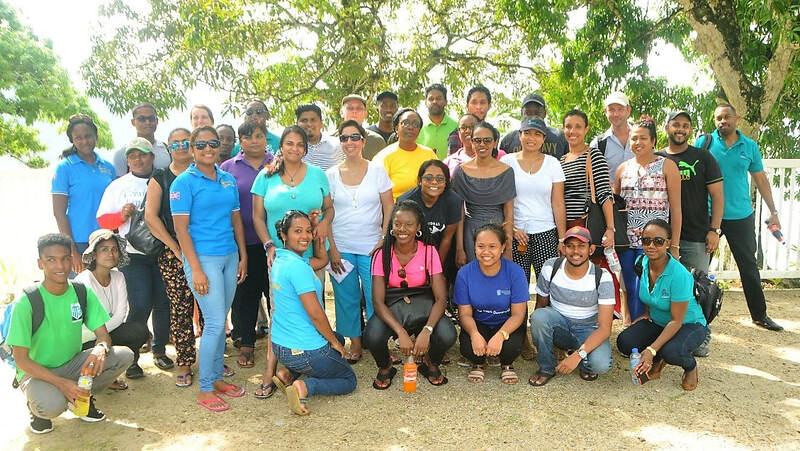 Mr. Andy Paul and Mrs. Gourie Dukeran-Ali of Trinidad and Mrs. Michelle Stowe and Ms. Trachia Simmons of St. Vincent and the Grenadines trained the participants in Sandwatch activities including beach profiling, water and sand analysis, longshore current measurement and the measurement of human activities on the beach. 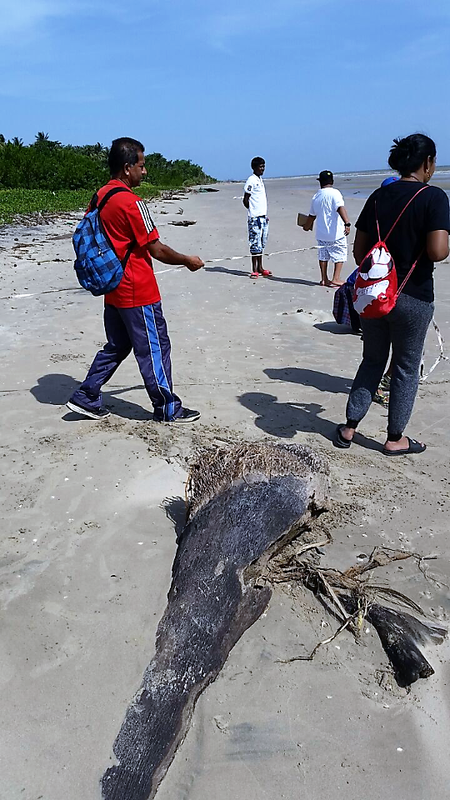 Trainers from the Institute of Marine Affairs in Trinidad and Tobago demonstrated further beach profiling tools such as automatic levelling. On the final day of the workshop Mrs Michelle Stowe demonstrated how the enter the information collected on the previous days into the Sandwatch International Database. Portraying Sandwatch through art was other activity. The workshop concluded with a lively discussion on how to merge and integrate the different aspects of the Sandwatch initiative into the education curriculum. Michelle Stowe and Trachia Simmons. 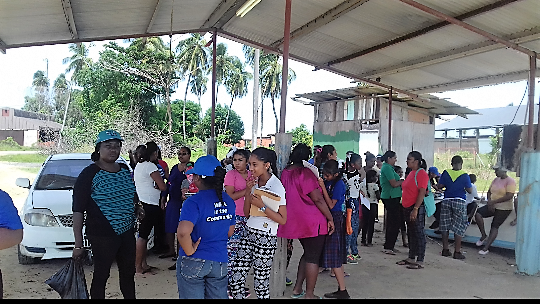 Sandwatch has resurfaced at the Mayaro Government Primary School. There are approximately thirty (30) students, three (3) teachers and some members of the public who are actively involved in the program. 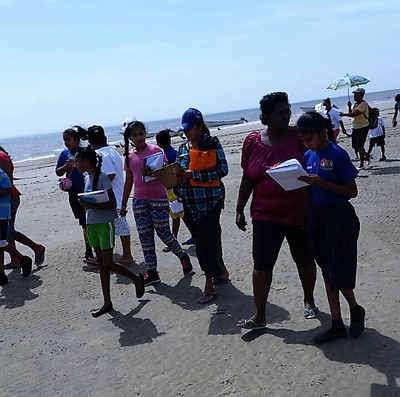 The group is involved in monitoring and data collection activities at the beach. We are presently in the process of conducting a recycling project using plastic waste materials to create useful and innovative items to be used in the environment.